I just read a blog post that began by stating, "Life lately...has been busy, exciting, overwhelming, and any other synonym of those words." I can definitely relate to that sentiment. This past weekend, my family and I made a nine-hour drive down to Florida to stay for a couple of days. While there, we celebrated my dad's birthday, had a lovely time with my aunt and uncle, and even stopped by the University of Florida. However, we didn't really make the drive just to benefit ourselves; we did it to benefit our dog. 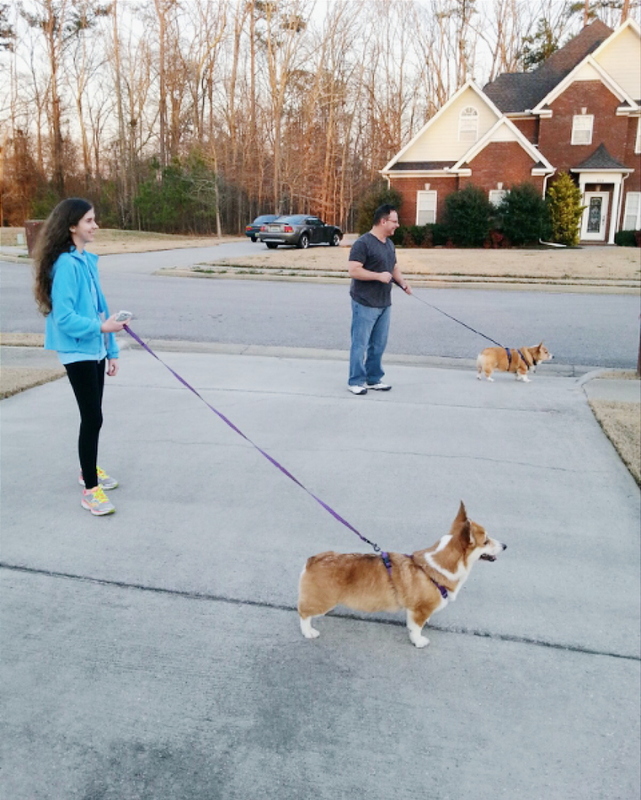 And I can assume that we did, because now we have two corgis running around the house instead of one--and everything is better in pairs, right? Our new corgi is named Emma, and she's a rambunctious character. However, she's just what we all needed, and I cannot wait to share more about her as time passes by. Just finished reading this book and I absolutely loved it! Sadly enough, I really would like to own these Jane Austen-inspired pencils. To end with another bit of motivation, "In any given moment we have two options: to step forward into growth or to step back into safety." Your dogs are the cutest Tori! !